motion graphic design by jonberrydesign • observed. | look, mom! One of the most common questions I get from family and friends is "how do we know when we see something you did?" In previous Games, I was a lot better at updating what I had done along the way - it may be that we're doing a lot more now than we did then. But whatever the reason, here are finally some of the pieces I've done here. As always, it's important to mention that I'm one very small part of a big team that makes this happen - the entire Olympics package is done in house by NBC Sports & Olympics. It's the vision of Art Director David Barton, with Art Director John Schleef also at the helm, working with their fulltime crew in Connecticut and then bring in additional folks like me in the final weeks before and during the games. 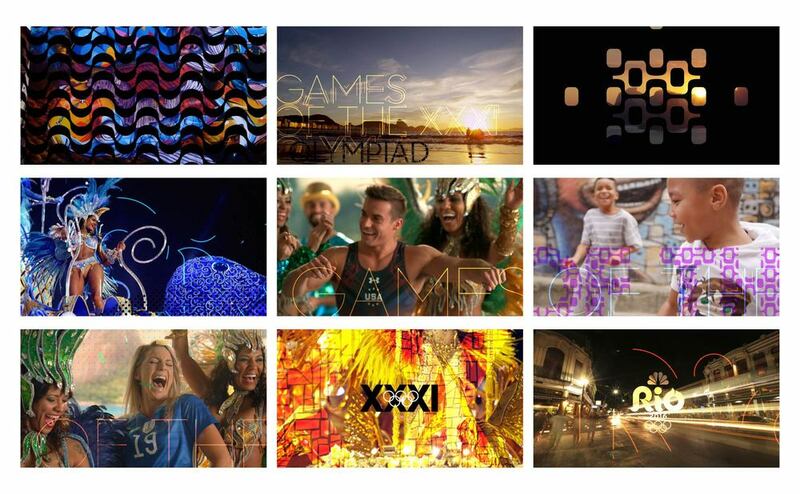 This years Games had a full crew running both in Rio and in Connecticut working round the clock 7 days a week. The crew we've got here this year is one of the best I've worked with in all my Games, and the look is probably the most ambitious. As far as my contribution, my main focus so far was creating the open and look for the Late Night coverage, along with several feature segment opens and scenic and event bumpers. Here are some frames from some of the pieces I created as part of the broader look.